We are staging a one hour showcase celebration of the arts to draw attention to the deceptive manner in which the government is using the deficit and the national debt as a false licence to withdraw funding from some of the things that as a nation we collectively hold most dear. 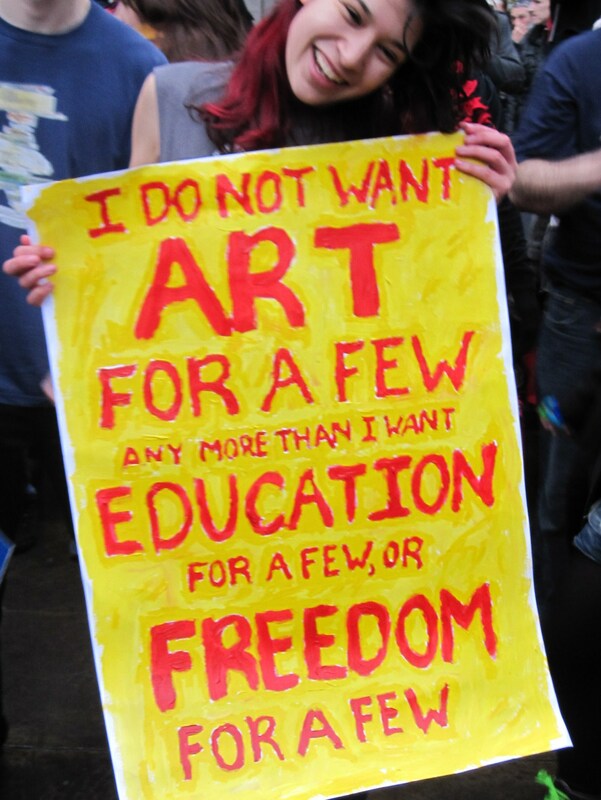 Government cuts are at risk of making The Arts something which only the wealthy can participate in, study, watch and love. 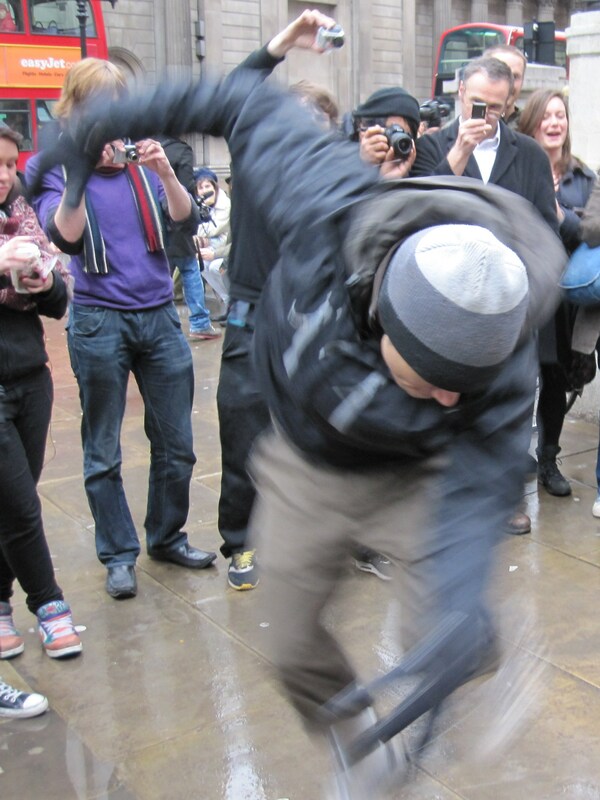 By peaceful demonstration we wish to highlight what a valuable asset The Arts are to our culture – and how much richer we are as individuals and as a people because of them – Dance Against The Deficit Lies press release. 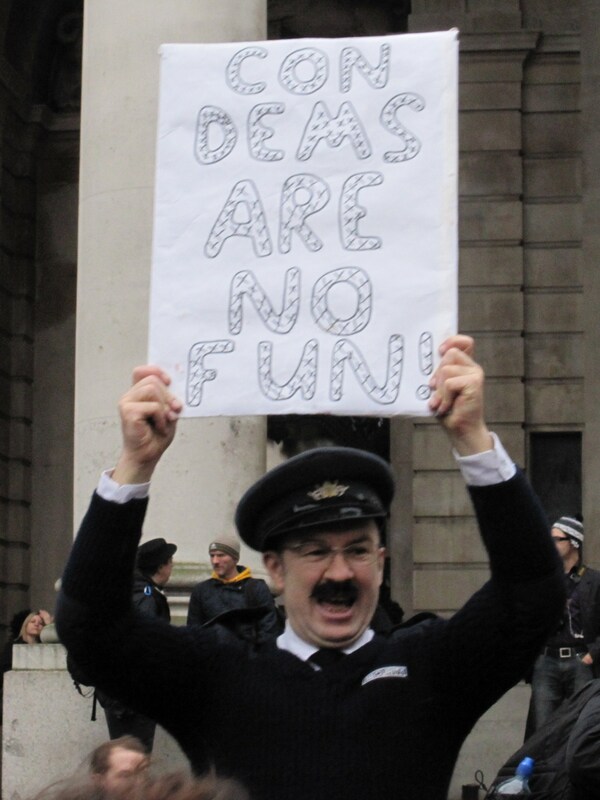 So, on a damp Friday lunchtime in January, a group of party people with a serious purpose descended on the Bank of England in the City of London in order to go some way towards proving these points. 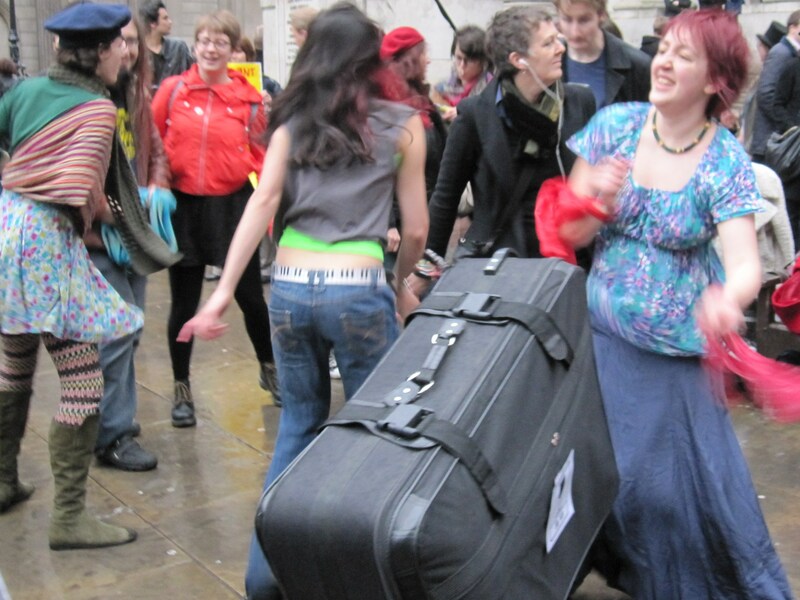 Dressed in brightly coloured clothes or silly costumes and clutching placards opposing the planned cuts to the arts, the police and bemused passers-by looked on in astonishment as they happily danced outside this famous old building to some excellent tunes from a portable sound system before peacefully dispersing after an hour (see below for pics).